These potholders will live in Kansas City soon, thanks to the Portland/Kansas City MQG potholder swap. I made one for my partner and got to make some angel potholders too. I wanted my potholders to be thickish and also to have some FMQ. So I made two separate quilt sandwiches for each potholder and bound them together. The tops are foundation pieced log cabins (with batting as the foundation). 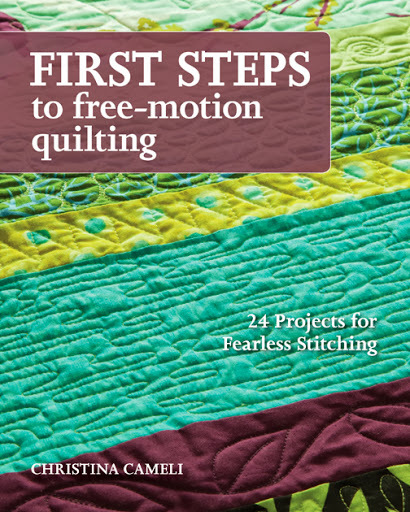 And the backs are plain to show some free motion quilting. Any guesses how I got such lovely geometric patterns? Oh, I can't keep a secret: print tracing! These are the backsides of two of the quilted pieces. Below is how I used the Ty Pennington print to make the circles. Wavy line around the circles one way, then a wavy line back the other. Whenever I wanted to add a flower I just went inside the circle off the wavy line I was on, and went back to the wavy line after tracing all the "petals". Looking at my fabrics for print tracing potential is kind of fun. It's a new way of perceiving them. Here are some I pulled out that I think would be great for this technique. 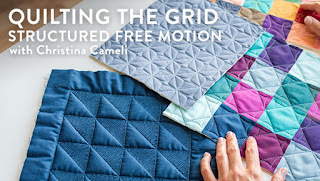 I've read that some people do entire quilts this way but for me the technique is perfectly suited for smaller items. What do you think, is it something you'd try? Oh my gosh...they look great! I love the print tracing idea! Thanks so much for not keeping that secret! These are great!!!! I HAVE to try the print tracing idea - thanks! What a great idea! I'm so glad you shared with us. I'm going to try this, too! Wow I love that! I'll have to give it a try. Thanks for sharing an amazing idea with us! So simple, but so very effective. 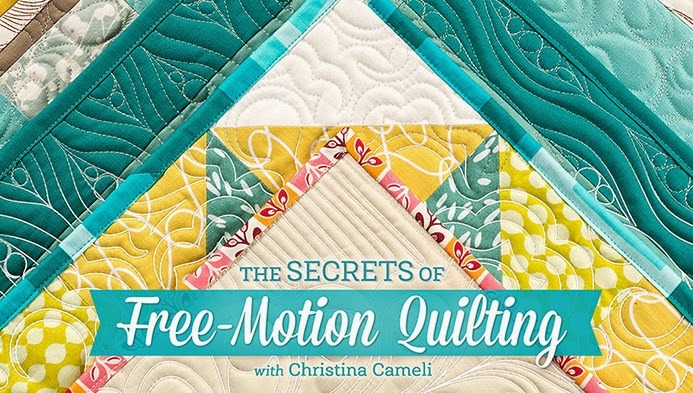 I'd try it if my machine quilting was good enough! For the moment I will just marvel at yours! Beautiful! I'm definitely going to try that! Fabulous idea that turned out beautifully!! Thanks for sharing, Christina! 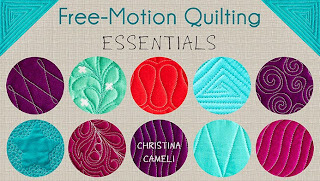 You are so smart to let the fabric do the talking for the FMQ! As always you do amazing work! thanks for sharing Christina! 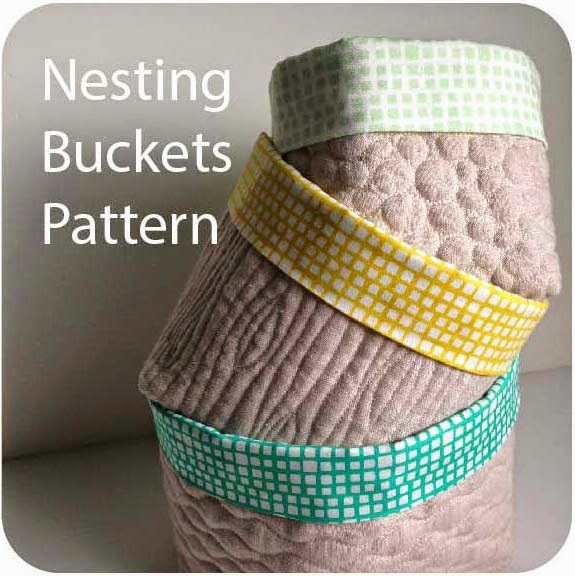 I love your pot holders and you are so creative with your FMQ. I made some like your's for my craft show but left one end open so you can put your hand in. Hi Christine! It's Mary Anne from KC MQG. Just wanted to let you know that the box of PMQG Potholders has arrived safe and sound! They are all so wonderful - I hope that you all have had as much fun with this swap as we have! These are super fun. I am currently tracing a print for a whole cloth quilt. I need to go check my fabrics for potential. I love how you take advantage of the prints on the fabric that is clever,I wondered how you were able to keep such perfect shapes ,good for you I must try. Most dfefinitely! 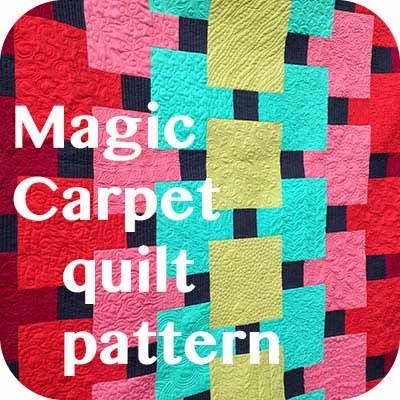 I am just a beginner at FMQ but this would make things so much easier than doing my own thing! 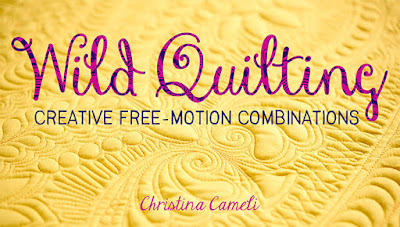 But like you I don't think I could do a whole quilt that way! Great for small projects though! that goes well in my kitchen.